Where object-oriented languages deal with objects as described by classes, model-driven development uses models, as graphs of interconnected objects, described by metamodels. 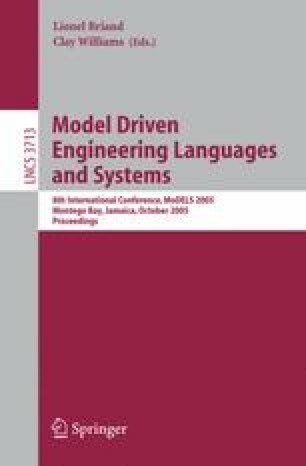 A number of new languages have been and continue to be developed for this model-based paradigm, both for model transformation and for general programming using models. Many of these use single-object approaches to typing, derived from solutions found in object-oriented systems, while others use metamodels as model types, but without a clear notion of polymorphism. Both of these approaches lead to brittle and overly restrictive reuse characteristics. In this paper we propose a simple extension to object-oriented typing to better cater for a model-oriented context, including a simple strategy for typing models as a collection of interconnected objects. Using a simple example we show how this extended approach permits more flexible reuse, while preserving type safety.